Let the sun shine in! 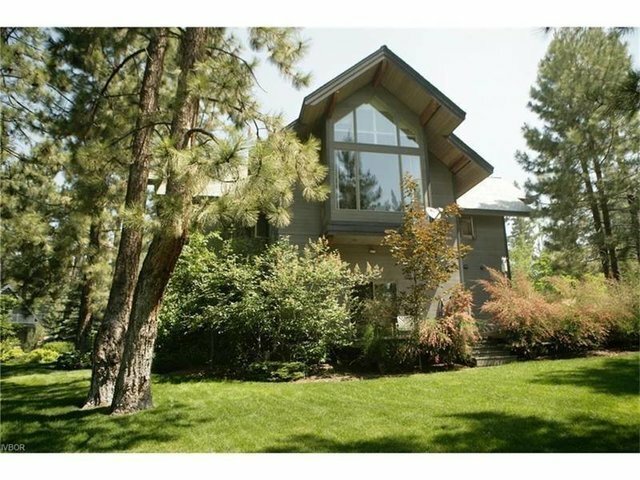 This home showcases Tahoe's 300+sunny days per year with large windows. skylights and elegant beamed ceilings. All bedrooms have en-suite baths, and one bedroom with a fireplace. Two suites are off the media room/den highlighting a flexible floor plan for family and guests. The spacious chef's kitchen features dual cooktops and ovens. Private lake access with community pier and spectacular lakefront park to view sunsets make this home a must see. View inforamtion about this private gated enclave at Uppaway.com With one of the lowest per/SqFt costs in the Glenbrook/Uppaway area, this home offers quality amenities and details surpassing anything in a similar price range. Exciting architecture and quality construntion make this house an escape from traditional homes. There is a flexible floorplan with master on the main living level,10 1/2 Ft ceilings on lower level and vaulted ceilings on main. Great attention to every detail. Enjoy Favorable Nevada Tax Advantages.